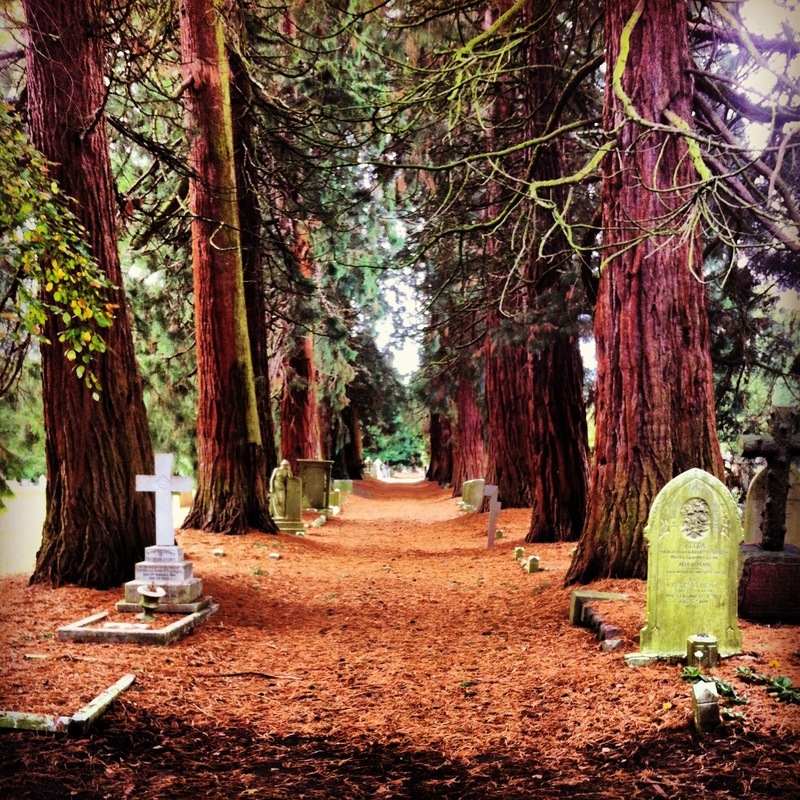 Brandwood End Cemetery (as featured in Tracey’s Friday Photo a couple of months ago) in Kings Heath is a fascinating and peaceful place to visit, especially at this time of year. 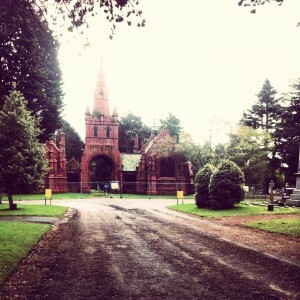 It was opened in 1899 – by George Tallis, Chairman of Kings Norton Rural District Council’s Cemetery Committee – as a response to rapid suburban population growth around Birmingham’s boundaries, which led to a lack of burial space. 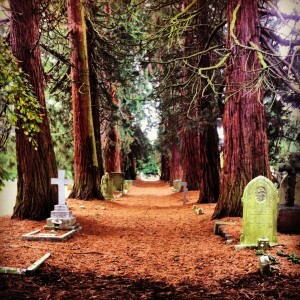 The Cemetery was laid out on farmland with a grid pattern of planted evergreen avenues of pines, conifers and cypress. It became part of Birmingham after parts of the (by then) Kings Norton & Northfield Urban District Council were absorbed into the city boundaries by the Greater Bimingham Act 1911, which made Brum the undisputed second city. Further land was acquired in 1915, 1917 and 1920, and then later in 1950. 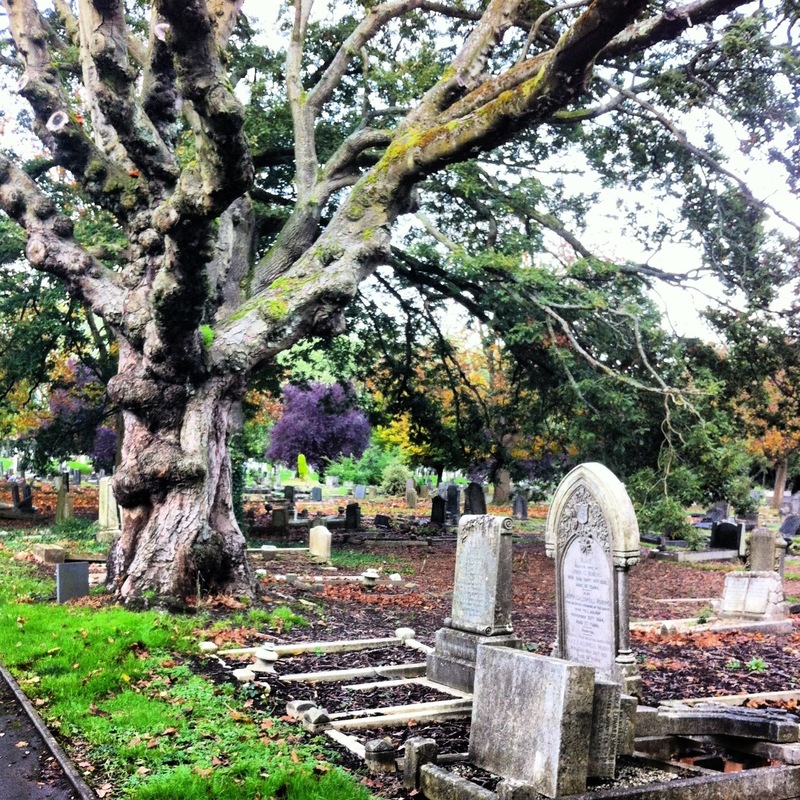 In 1919, part of the southern end of the site was sold to the local Jewish community for a separate Jewish cemetery, with an octagonal mortuary chapel. The site is now listed as being of special interest. On arrival, the first building you will see is the lodge building, built in red brick and terracotta to house the living quarters for the cemetery superintendent and the office. 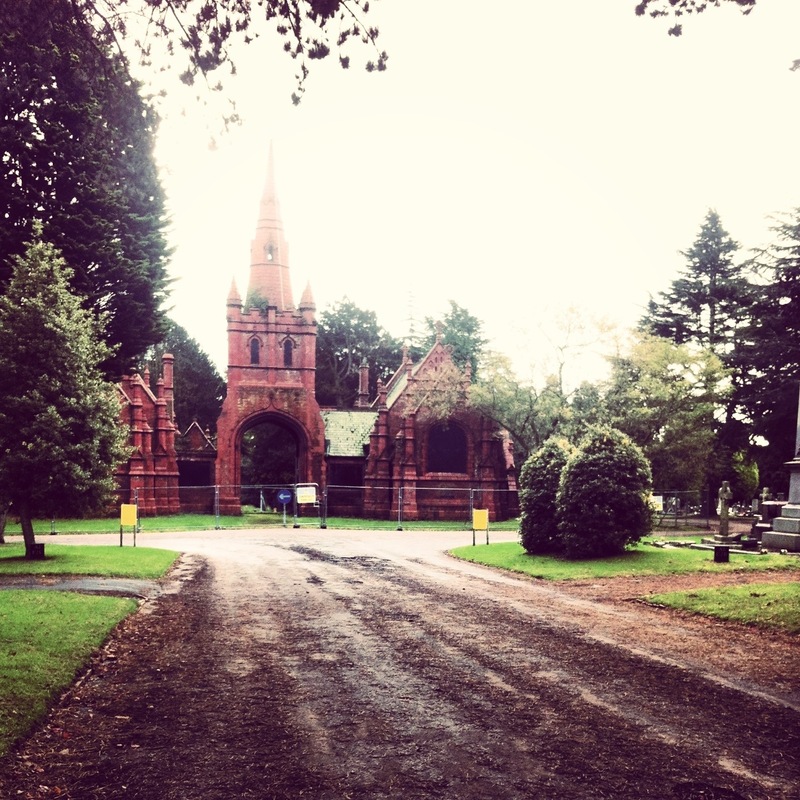 This has recently been reopened for community use after a campaign from the Friends of Brandwood End Cemetery. 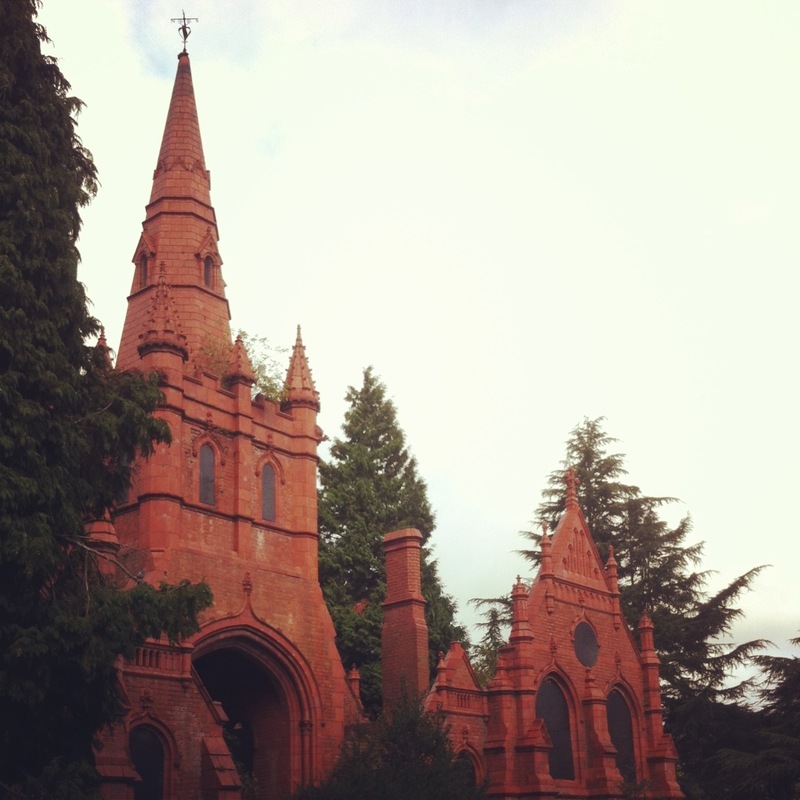 The exquisite twin mortuary chapels, further down the central avenue, are the centrepiece of the site and are Grade II listed. 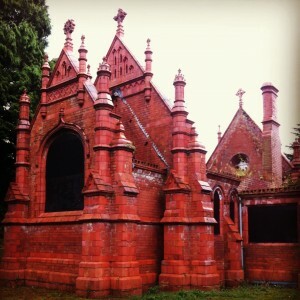 The chapels, linked by a central porte-cochère – a carriageway porch for those whose French is as poor as mine – topped with a spire, were designed by local architect J Brewin Holmes in a Gothic style. The western one was for Anglicans, the eastern non-conformists. Both are sadly no longer in use after a fire gutted the eastern chapel in 1995, and look forlorn, though still impressive, with their windows boarded. There are, however, aspirations to restore them (see here and here), although progress is slow owing to funding difficulties. Unlike earlier Victorian cemeteries in the city (e.g. Key Hill with the Chamberlains, the Martineaus and others), Brandwood End does not host the graves of many Birmingham luminaries of the age, but alongside thousands of ordinary Brummies lie Patrick Waite Jnr – a member of reggae band Musical Youth, who died in 1993 aged only 24 – and Arts & Crafts artist and designer Sidney Harold Meteyard. Meteyard was part of the Birmingham School and knew Burne-Jones and William Morris, painting in a late Pre-Raphaelite style. He designed the beautiful WWI Roll of Honour, in the Hall of Memory. The Hall of Memory was built in what is now Centenary Square in the 1920s to commemorate the 12,320 Birmingham men and women who died in the Great War, funded entirely by public subscription. Part of a grand but incomplete civic scheme also including Baskerville House, the coming of the Second World War meant the plans would not be fully realised. Further memorials and Rolls of Honour were added after the Second World War, and for subsequent campaigns, including Korea, Vietnam and the Falklands. 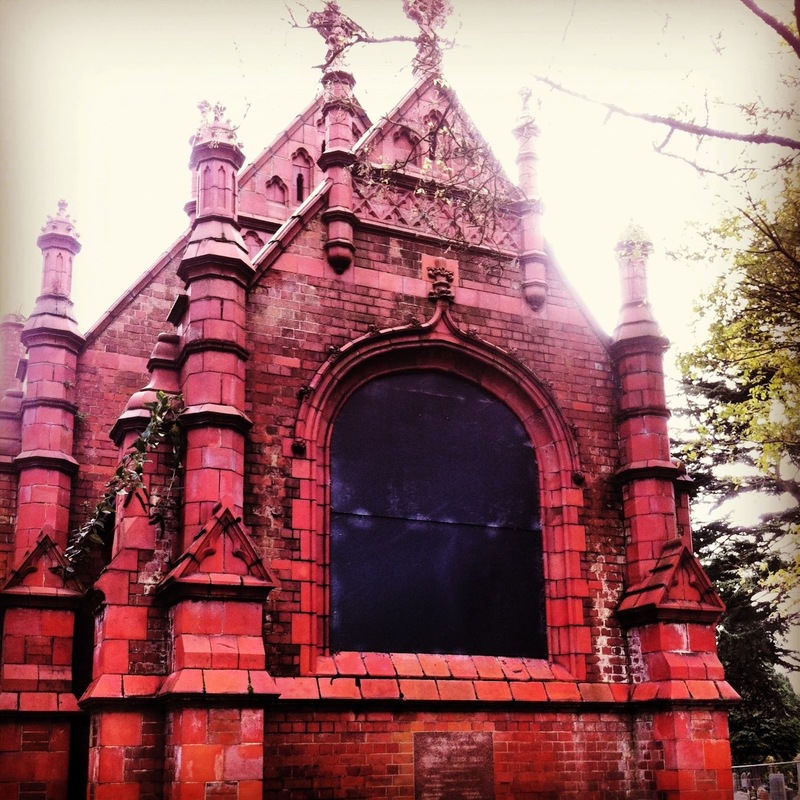 Brandwood End Cemetery contains 108 burials from the First World War, with screen walls to commemorate 35 servicemen in unmarked graves. Some had been brought back from the front to the War Hospitals at Rubery Hill and Hollymoor Asylums at Northfield. The Cross of Sacrifice was put up in 1929. The Second World War burials number 98, and a Memorial Garden was laid out in 1952 in memory of the civilian dead of that war. 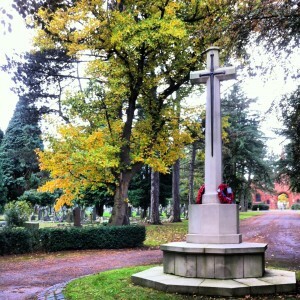 Amongst those from the First World War are many local young men from the Royal Warwickshire Regiment, who would have signed up for the ‘Birmingham Pals’ battalions, like Privates Frank Stych from Sparkhill, B Nokes from Highgate, Willim Spearman, Frederick Woodcock, Albert Wilcox and Lieutenant Arthur Wilson. 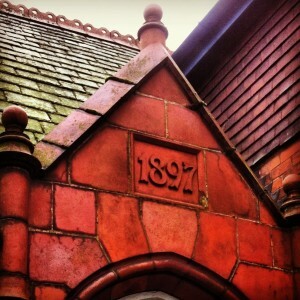 Some of them came from within a few Kings Heath streets of each other. Private William Lester, was from Bank Street and Jesse Blunn (aged just 17), from Highbury Road. Coming from just round the corner, Private Henry Humpage (aged 19), from South Road, served in the Worcester Regiment, and Armourer Isaac Newton from Balaclava Road, was in the Royal Navy. It is impossible to comprehend what this must have been like for families and communities, especially considering these are just the ones that made it back to Brandwood. The names of nearly 2000 soldiers from the Royal Warwickshire Regiment are on the Thiepval Monument to the Missing of the Somme, and 35,000 Birmingham men came home with a disability. 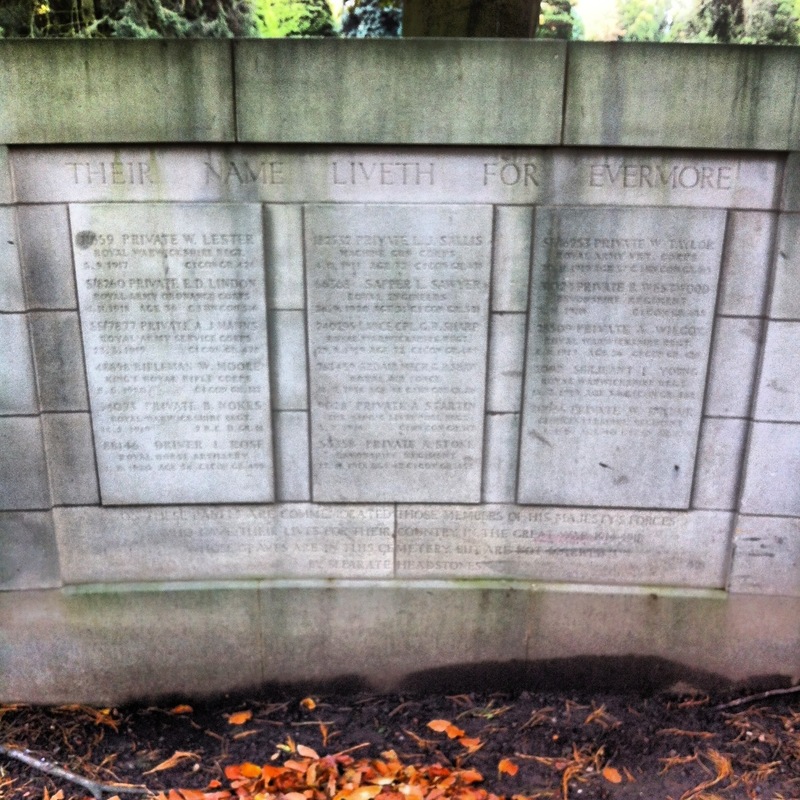 As the inscription on the screen walls and the Roll of Honour says, may “their name liveth for evermore”. This week the Friends of Brandwood End Cemetery have put over 300 poppy crosses on the War Graves, and an Act of Remembrance will be held at 11am tomorrow (Sunday 10th November). You can join the Friends here. The mention of the Thiepval monument is poignant for me as my paternal grandfather is listed as a member of the Royal Warwickshire Regiment. His wife and son, my father, are both buried at rand wood End. Thank you for an interesting blog. i BELIEVE THE GRAVE OF PRIVATE WILLIAM SPEARMAN IS THAT OF MY GREAT GRANDFATHER. Hi, thanks for reading. You can see William’s record at the War Graves Commission if you click on the name – his name is spelled ‘Willim’ there but I wondered if he was really a ‘William’. There’s not much information on him either, but he seems to have died a short time after the war. I wonder if he was in the hospital at Moneyhull?